After our previous work on vocabulary, this week's workshop was a chance for the children to put their rich language and ideas into action. Writing from the perspective of one of Hokusai's cowering sailors, we tried to convey the right mood and atmosphere as the fishermen face down the monster wave. The superb example above, by a Year 6 boy, shows how we captured this scene perfectly... "One again, we faced our nemesis, the flowing nightmare: The Great Wave." Zing! A good author needs a strong command of language. This writing, although excellent, didn't just happen! It was built upon the foundations of creative thought, a rich bank of vocabulary and the experience of applying it in sentences. Children read a model text to see how a piece is structured. We used this to make a plan for our own writing. 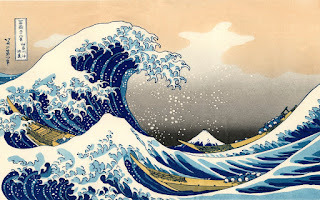 We tried to retain a sense of mystery and suspense by not naming the wave, simply referring to 'it'. We thought about scary movies we had seen and how people behave when the big-bad appears unexpectedly. The sentences we practised last week formed the spine of each paragraph drawing in simile, adjectives and adverbs as well as personification. 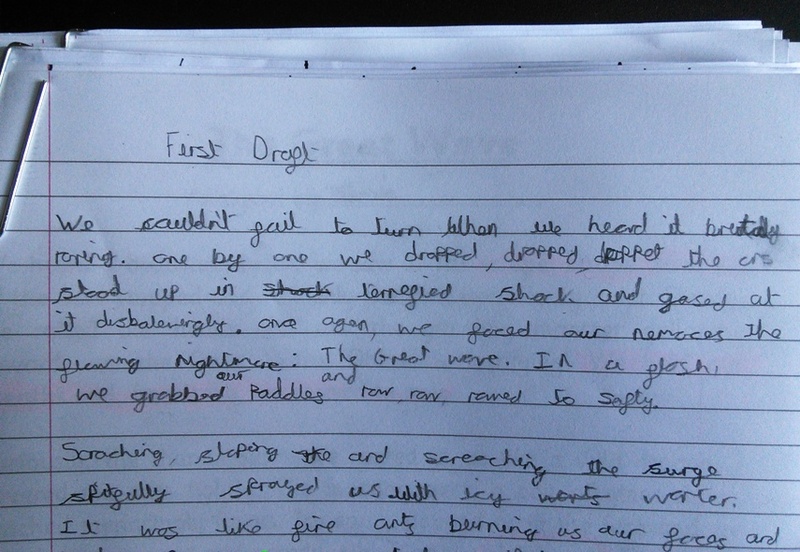 Next week... we will edit and redraft the writing further! More excellent examples to follow.